Why won't Nintendo make a true console Pokémon RPG? – AiPT! Why won't Nintendo make a true console Pokémon RPG? Why won’t Nintendo make a true console Pokémon RPG? Recently, Nintendo held a Pokémon Direct conference to talk about upcoming Pokémon products. As always, fans’ minds raced with the possibilities. A new 3DS generation? A proper Pokémon game on iOS/Android? Maybe, finally, the holy grail of Pokémon games, a proper RPG on the Nintendo Switch? Instead, fans learned that Nintendo’s biggest love affair, their love affair with porting already existing games to new hardware, will be continuing in spades. The new games announced were Pokkén Tournament DX, a port of their Pokémon-themed fighter for the Nintendo Switch; Pokémon Ultra Sun/Ultra Moon, updates of the most recent entries in the series; and Virtual Console versions of Game Boy Color classics Pokémon Gold/Silver. These will all no doubt sell well and provide their fair share of entertainment, but at some point one has to wonder why Nintendo is resting on their laurels when it comes to one of their biggest franchises. The world was reminded again of how much they love pocket monsters when Niantic Labs released Pokémon GO on mobile platforms last summer. It was a novel idea and certainly set the world on fire for several weeks, as millions of people experienced a game type they hadn’t even considered playing before. However, featuring shallow gameplay mechanics and riddled with bugs, GO didn’t quite satiate the world’s appetite for Pokémon. And with the release of the highly anticipated Nintendo Switch console mere months later, an opportunity to satisfy that craving seemed self-evident. 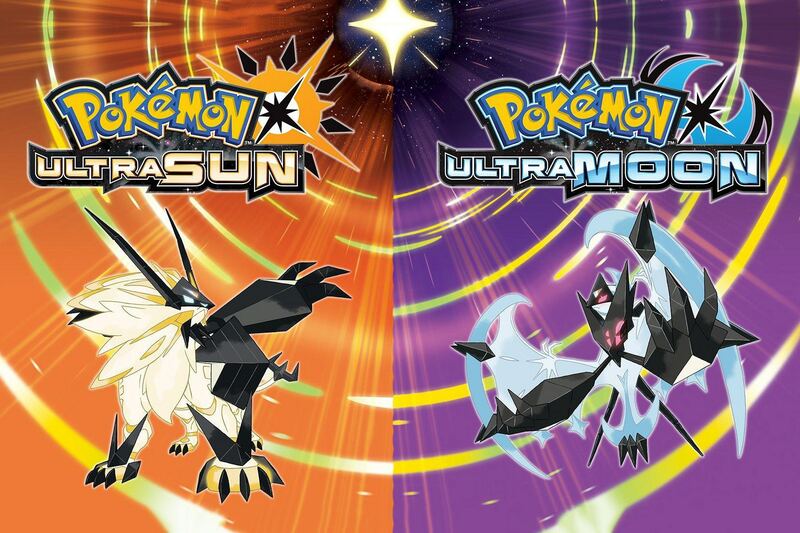 Indeed, rumors mounted that this week’s Pokémon Direct conference was to announce what fans were calling ‘Pokémon Stars‘: a sister title to Sun and Moon much like Yellow was to Blue/Gold, but on Nintendo’s console/handheld hybrid, finally giving fans what they’ve been clamoring for for years. Unfortunately, that’s not what was shown. Perhaps most frustratingly is that a console Pokémon game doesn’t even need to be an entirely fresh experience. Take the maps, story and battle system from Sun and Moon and give it high definition graphics worthy of a television, and you’re done. The blueprint for creating a third title as part of the same generation after the release of the initial two has existed as long as the franchise has. Why not adopt that strategy here? That’s obviously oversimplifying the process, but given Nintendo’s affinity for ports, it doesn’t seem like a huge stretch to think this would be up their alley. Instead, Nintendo seems to focus their Pokémon efforts on console on more niche titles. We can take pictures of Pokémon (Pokémon Snap), battle Pokémon we’ve already captured on handheld (Pokémon Stadium), and even have a conversation with Pikachu (Hey You, Pikachu! ), but we can’t sit on our couch, turn on the television and catch some damn Pokémon. Open world epics have been all the rage in gaming for years now, but one of the crowning jewels of the RPG genre has been a glaring omission. Imagine a Grand Theft Auto style game where you explore Kanto or Hoenn on foot, encountering Pokémon in the wild, and having intense battles with modern graphics? It could be an industry-defining game, but for some reason Nintendo is reticent. This is to say nothing of the possibilities of another game: a Pokémon MMO. Massively Multiplayer Online Role-Playing Games may not be as popular as they were a decade ago, but millions of people around the world still log into genre titan World of Warcraft every single day. A game like this, set in the Pokémon universe, would almost certainly be a tremendous success: imagine leveling your Pokémon, battling your friends’ Pokémon, taking down gym leaders together, hunting the ultra-rare Mew with a raid of Pokémon trainers, capturing brand-new Pokemon or evolving ones that desperately need evolutions…there’s no limit to what they could do with this medium. Nintendo has strangely never been able to quite figure out multiplayer gaming on their consoles in the way Microsoft and Sony have, though, so they would either need to fix that in a hurry or make the game for PC, neither of which seem terribly likely. A true console Pokémon RPG would also help solve another problem Nintendo currently has: the severe lack of exclusive hits on the Nintendo Switch. Yes, the console is only a few months old, but its killer apps are games that are also available for its previous console, the Wii U, and that’s a problem. As a Wii U owner, there is no compelling reason as of now to hunt out a still-rare Nintendo Switch, as the two most popular games on the console, The Legend of Zelda: Breath of the Wild and Mario Kart 8 already exist for the Wii U. A true, 3D, perhaps even open world Pokémon RPG would nearly force even the stingiest Nintendo fan to upgrade. Instead, the Switch’s first taste of Pokémon will come in the form of a fighting game that is having a hard time succeeding in its native Japan. It may just be a matter of time, however, for the simple reason that Nintendo’s current generation console is its current generation handheld. The 3DS’s days are numbered as a priority for the company as the Switch finds its way into more and more homes. Whether or not a proper Pokémon game finds its way to the system remains to be seen. It seems like a no brainer, but Nintendo is known for baffling decisions with no obvious goal, so maybe it’s best to just stick with what we have for now instead of holding out hope.